Personalized Funeral Register Books, As a funeral home professional, you are the most important resource to client families in the days following a loved one’s death. They rely on your knowledge of products and services to create a memorable celebration of the departed. With so many aspects of funerals becoming more personalized, consider integrating technology to provide the best products, such as customized funeral register books. Funeral register books provide a record of visitors, used for thank you cards and a simple reminder of service attendees. Thanks to software that creates on-demand, customizable register books, you can show your client families how much more intimate and individualized they can make their loved ones funeral. The staid, generic funeral register books that have been used for an eternity served their purpose. However, client families had limited options and funeral home professional were required to carry and keep track of inventory. With software that includes pre-designed and pre-formatted templates, you can easily create funeral register books that reflect any hobby, interest, or religion. Simply use your funeral home’s printer and blank paper stock that you order as needed. The result is a fully personalized funeral register book that sets the tone for the funeral from the moment guests arrive to the viewing. Reminders of their loved one through photographs and imagery that recall his or her interests, a sense of comfort is shared among mourners. 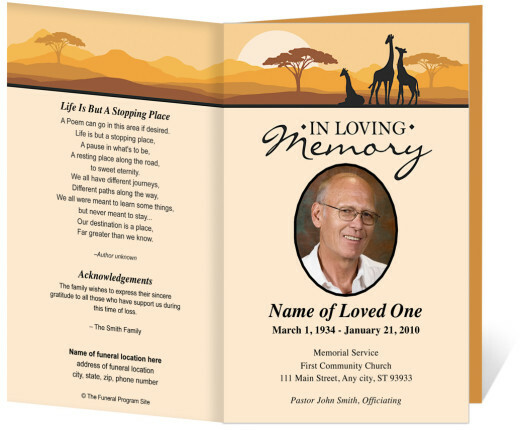 Utilizing the themes and images in other items of funeral stationery, such as memorial folders, prayer cards and acknowledgements, the departed is truly celebrated in ways that best represented him or her during life. Register book covers are available in a variety of colors and fabrics, and you can order in any mix you desire. The best part about template-driven funeral software is aside from the printers most funeral homes already have purchased and use in-house, there is no need for additional equipment. If you feel intimidated by technology, please be assured that today’s software programs are amazingly easy to use. Technical support is widely available and after a few times you’ll be a pro at creating the most personalized funeral stationery. Now is the time to upgrade your technology options. The incoming generation of funeral home professionals is more than likely comfortable with most new technologies. In order to remain competitive, it’s important that funeral professionals embrace the latest options. Make your funeral home stand apart from the rest. By offering the most personalization possibilities, you’ll grow your business while exceeding expectations of your client families.